Jam packed with protein and fibre, quinoa is a superfood grain that has a host of amazing health benefits. If you’re a quinoa convert, but you’re growing tired of the same-old sad salads, here are 10 great recipe ideas to inspire you. Breakfast is one of the most important meals of the day, and starting out with a sweet treat guarantees you’ll have a happy, productive one! 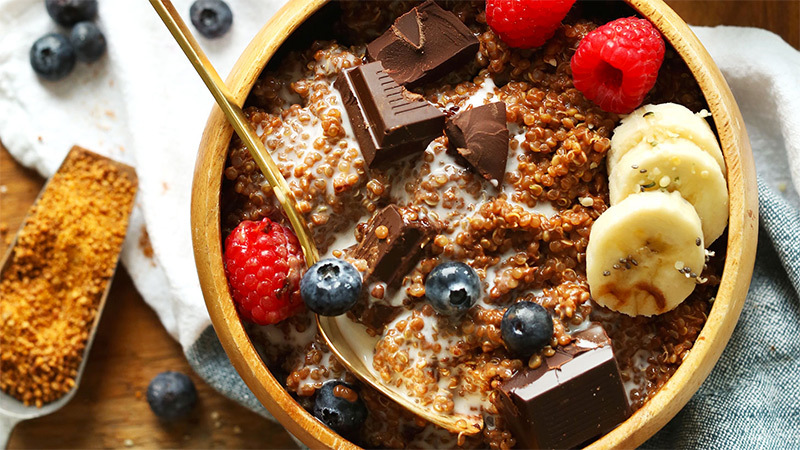 This breakfast bowl has just 7 ingredients and is jam-packed full of protein. 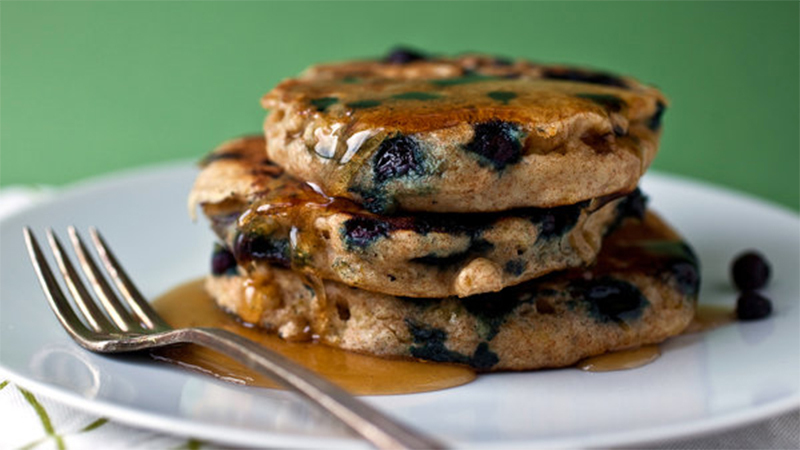 Another great way to sneak quinoa into your breakfast is to make quinoa pancakes. These pancakes are delicious, thick, and moist. You may think of parfaits as exclusively sweet dishes, but you can actually make some delicious savory parfaits with quinoa. 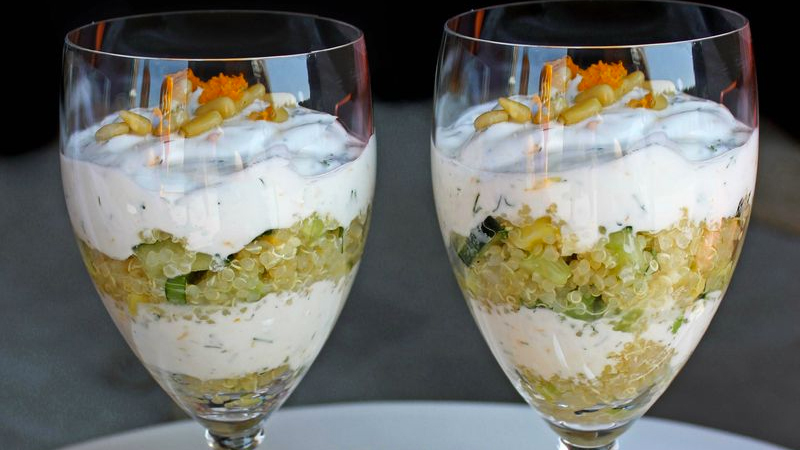 This recipe combines Greek yogurt, lemon, dill, quinoa, cucumber, avocado, parsley, pine nuts, and olive oil to make a refreshing, unique, and healthy meal. For a protein-packed take on chicken noodle soup comes this recipe you’re guaranteed to love. 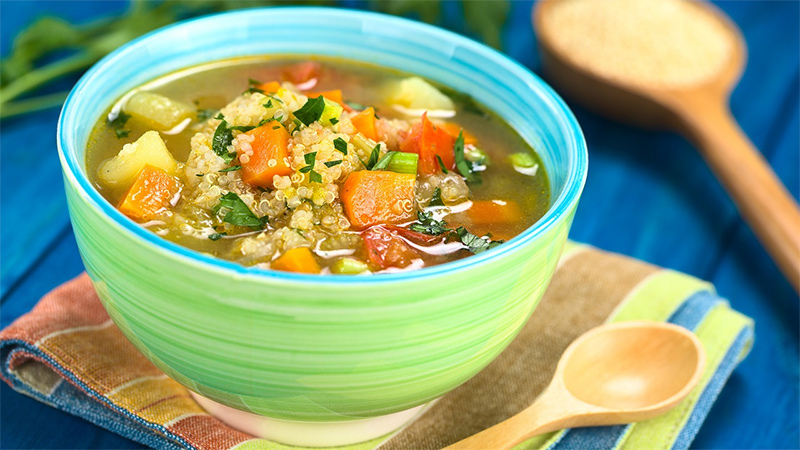 Alternately, you can just add quinoa to your favourite existing soup recipes as a replacement for rice or noodles; just make sure you give the quinoa enough time to cook. Not sure what to serve up as an amouse-bouche for your next dinner party? 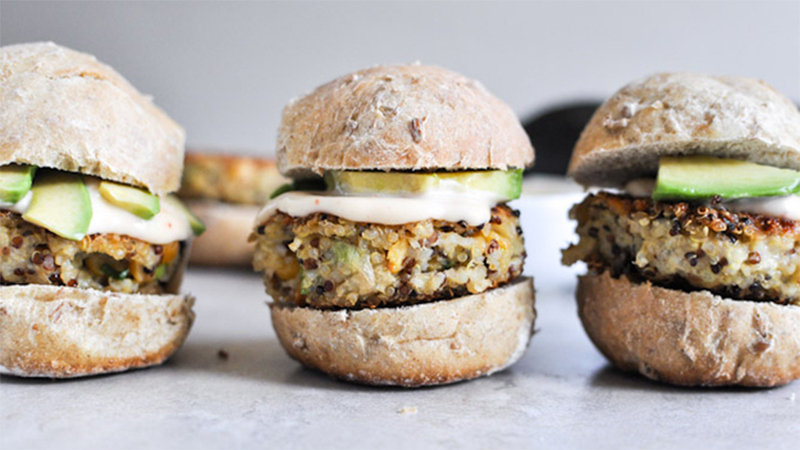 Chickpeas, cheese, and breadcrumbs come together to create a super-delicious, vegetarian sliders. Recipe here. 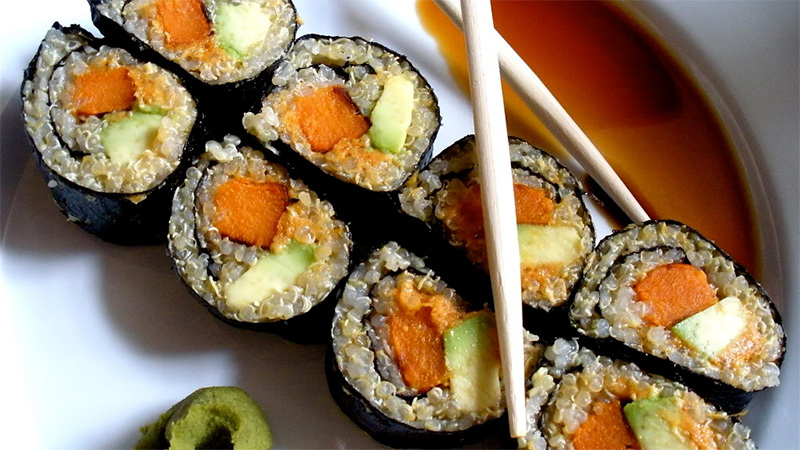 When re-thinking the ingredients for your next sushi roll, consider adding these super-healthy, nutrient-dense foods: avocado, sweet potato and quinoa. This is a filling sushi that’s ideal for days when you’re working out. Get the recipe at TwoBlueLemons.com. With 315 calories per serving and only 8.9 grams of fat, consider this dish a go-to when you’re in the mood for comfort food without the guilt. You have two options here: the stovetop or slow cooker. 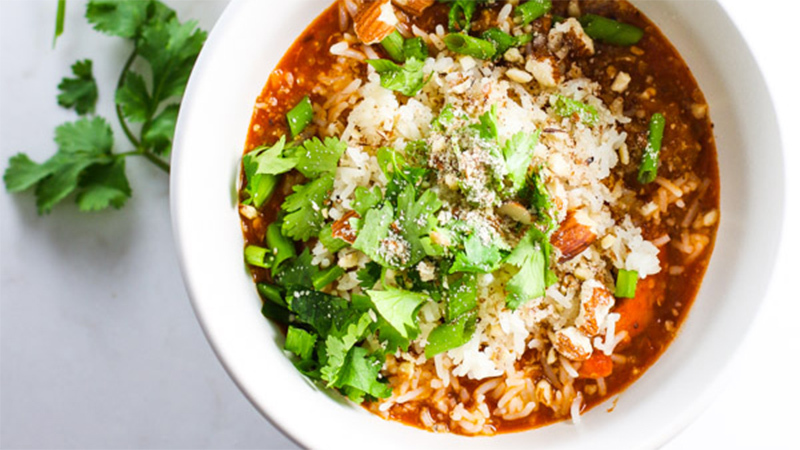 Both are equally delicious and will fill you up with delicious, good-for-you ingredients like eggplant, tomatoes and quinoa. Go as crazy as you want with the toppings and make this a one-of-a-kind meal. Get the recipe at PinchOfYum.com. The traditional Spanish version of this dish calls for white rice, making this an easy and hearty substitution. 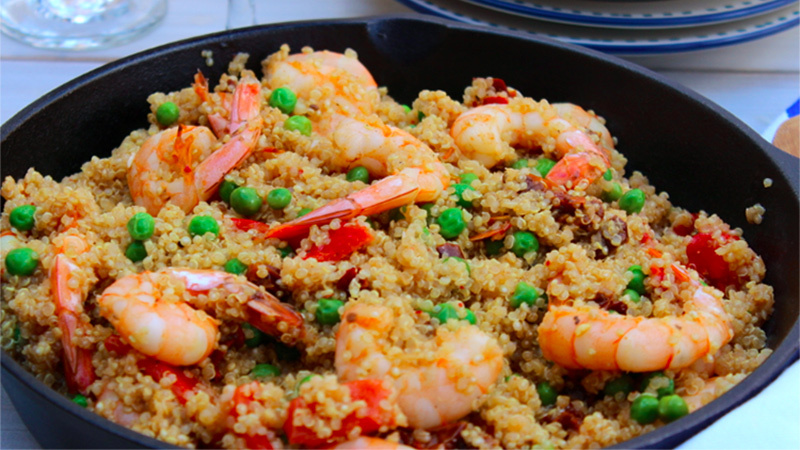 We love the versatility of paella, because it can be made with virtually any ingredients you like, including chicken, lobster, lamb, sausage, green beans, squid or even tofu. Get the recipe here. 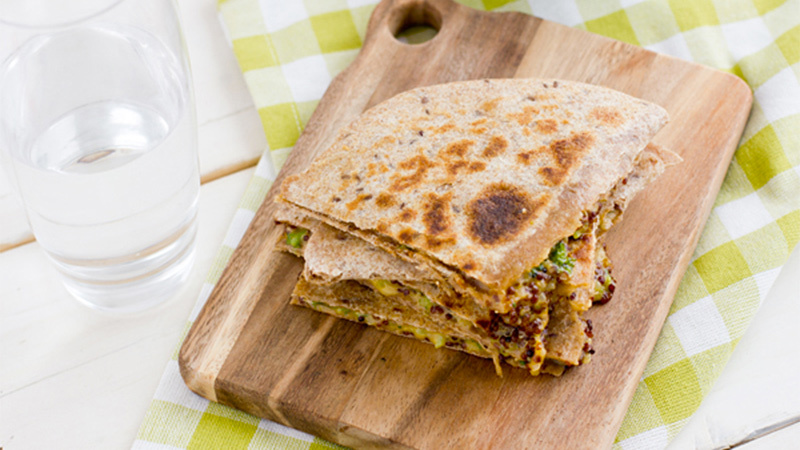 For all the vegetarians out there, these vegetarian quesadillas are ready in a pinch and super easy to prepare. The best part? They’re ready in under 30 minutes! Get the recipe here. For an unusual, but fun treat, try swapping out popcorn for popped quinoa at your next movie night. You can find more information on popping quinoa here, but basically, you will heat oil in a saucepan as you would for corn, then add a little uncooked quinoa to the pan. 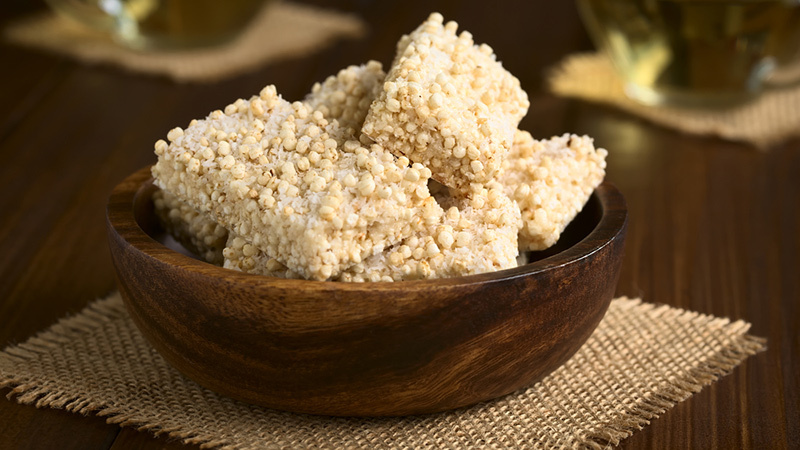 Or, for dessert, how about some quinoa krispie treats? Vegan and gluten-free, they’ve got more nutrition than your average white rice variety. Get the recipe here.